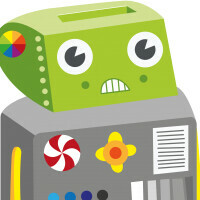 The Paranoid Android team pushed an update to its popular 3rd-party ROM. Bringing Paranoid Android to version 4.3 Beta 2, the update introduces some community-requested fixes and features. The default hide time for notifications has been increased to 5 seconds. The so-called "notification spam" has been solved by increasing the time between displaying subsequent notifications to 2.5 seconds. Tapping outside of Hover now dismisses the overlay in 1.5 seconds, instead of 0.75s. In addition, the team has added the ability to disable IME notification while its working on full blacklist support. Furthermore, a bug in two-finger pulldown was fixed, and in-call UI was updated, along with more bug fixes. The PA team acknowledges that the ROM is in need of a better notifications implementation because of the way Hover handles some messaging apps. Hangouts users, for example, will receive the first notification from a given contact or group but won't be notified of other updates until this first notification is dismissed. My Nexus 4 is runs on Paranoid. The team is super awesome!